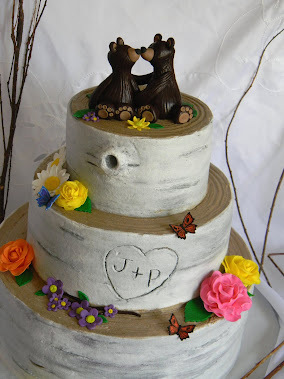 Frost Your Cake: Fond memories, sharing, and a giveaway to boot! 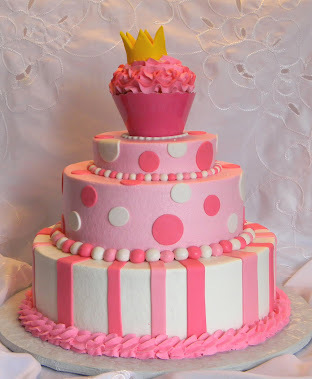 A Mommy's life & baking adventures! 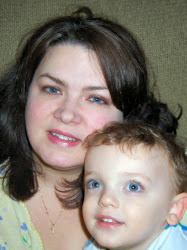 Fond memories, sharing, and a giveaway to boot! Well, the past 6 months have been a crazy whirlwind. But somehow my page has managed to grow to over 5,000 friends! So I'm hosting a GIVEAWAY to say thank you for all the lovely comments and words of encouragement. Here's what one lucky person will receive - hope you love cupcakes! Most of my summer & fall were spent in pain, resulting in my not being able to do what I love most: play with my favorite 6yr old, and bake! To be honest, we haven't even finished unpacking all the boxes yet. Feeling overwhelmed and a little depressed for quite some time I started thinking about some of the happier times in my life. There were so many and so much to be thankful for. One thing I remembered was spending time with my Mother, baking Christmas cookies! I have 4 brothers, Mom would let us help roll and cut out all the cookies and decorate them with LOTS of sprinkles!!! I also loved baking with my Grandmother when I was a little girl. She made the BEST apple pie EVER!!! There was always extra pie crust and we'd make yummy treats with it. We'd roll it out and cut out circles with a juice glass, then cut even smaller circles out of the centers of half of them, bake them, spread jam onto the full circles and top with the holey circles - - - So. Good! 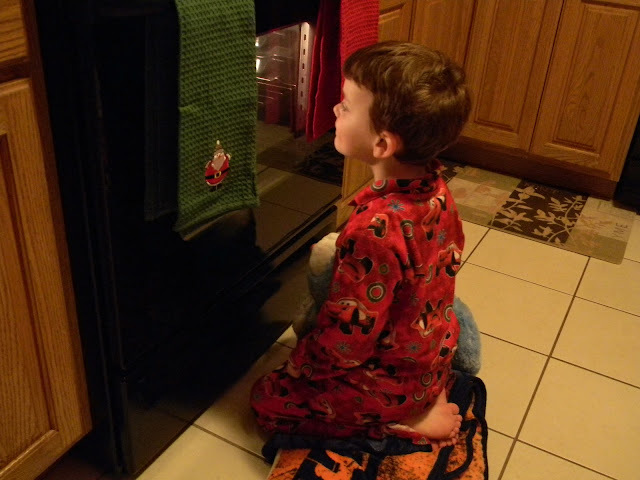 Here he is watching his cookies bake last Christmas. Here he is with my husband making the annual Gingerbread House. 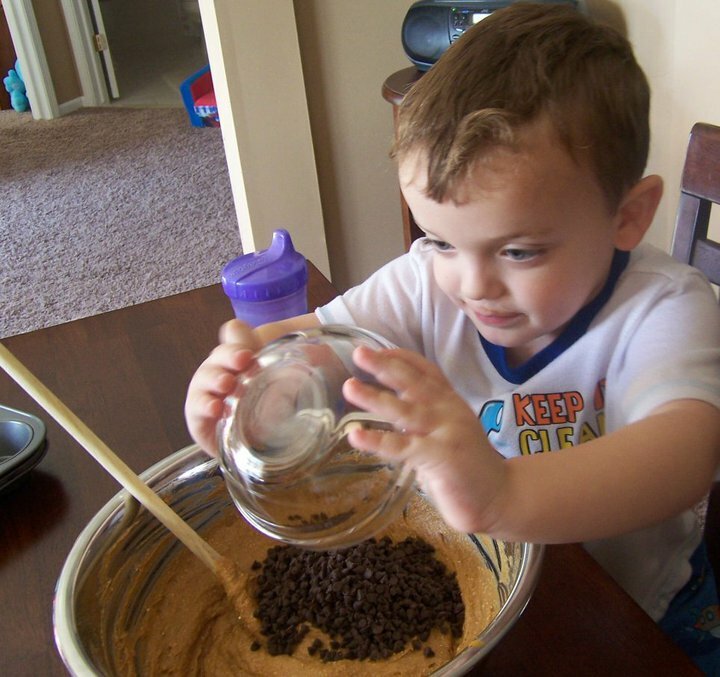 And here he is measuring and pouring in the ingredients for pumpkin muffins. We're always mixing up something yummy! My hope is that when he's older he will look back at these times and get all those warm, fuzzy, feelings I get when I think about the times I baked with my Mother & Grandmother. So now it's your turn to share your special memories with me. 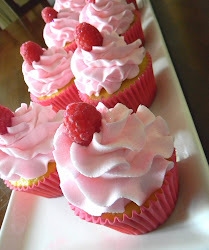 Leave a comment telling me all about some sweet baking experience you've had! 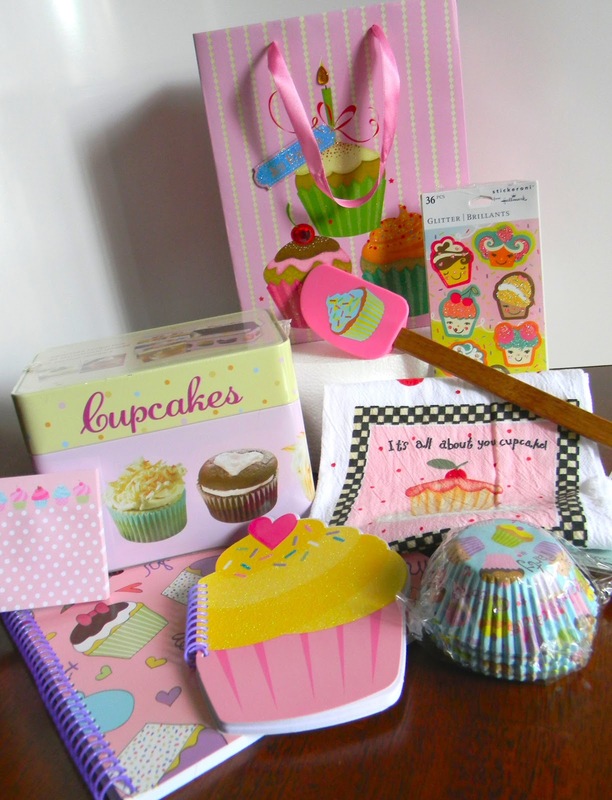 In one week I'll randomly select a story and I'll send a box full of memory-making cupcake goodies to that person. Please remember to leave your name & email address so I can contact you! So kind of you to host a giveaway in the middle of the craziness of the holidays and your big move! My newest favorite baking memory is taking our 4 kids to my Mom and Dad's and we spend all day baking Christmas cookies with them (gingerbread and sugar cookies) and then decorating them with all types of sprinkles, candies, frosting, etc...My kids are building memories with their Nonna and Papa that they will remember forever! On top of that, being a pro photog, I am able to capture those memories for them to enjoy for generations to come! The reason I bake now is because of my grandmother. She could never afford school & graduated at the top of her class & LOVED to make all desserts. When I was a little girl, she would spend a week making candies, pies & cakes for gifts & for our holidays. It's the one thing that my mother does with me & we wear her aprons & make some of her items for gifts as well. This comming week, I get to carry the tradition on for the first time with my neice. Thank you for reminding me of another reason of what Christmas is about, my beautiful family. May you be blessed & have happy holidays. I love baking now more than ever. My daughter is 3 and LOVES to help me and that just makes me giddy inside. She has her own special tools and is so proud of herself that she helps mommy. Thank you so much for this giveaway and sharing your pictures! 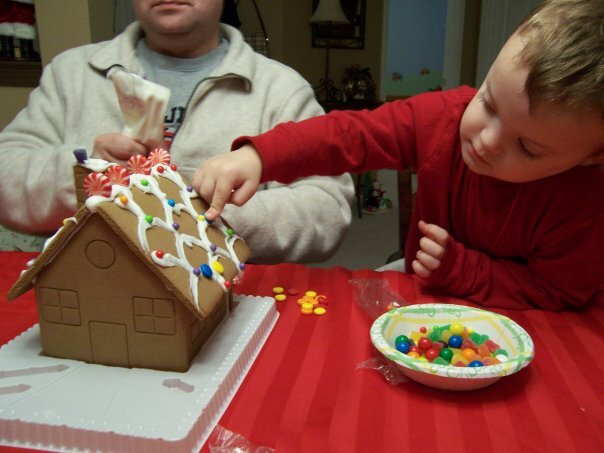 We are going to make gingerbread houses tonight to distract from all the madness and sorrow from this week. I've been baking since I was a teen, and one of my biggest supporters was my Dad who passed on, 13 years ago. One of the last special things I made for him, was a birthday cake with mice on it, and said on it, "To the Big Cheese, aged -- years," He absolutely loved it and I still remember the hearty laugh! If only I could bake for him again.. I have 2 favorite memories. The first: I used to bake cookies with my mom for the holidays (all year actually, as we often made chocolate chip cookie dough & it never quite made it's way to being cookies as we would end up putting the bowl in the fridge & eat it by the spoon full). But we used to make Russian Tea Cakes (aka Mexican Wedding Cookies) for Christmas. 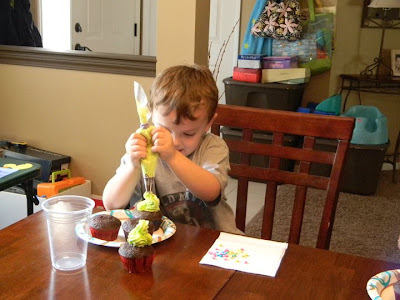 We would roll them in balls, color our sugar red & green and roll them in the colored sugar. 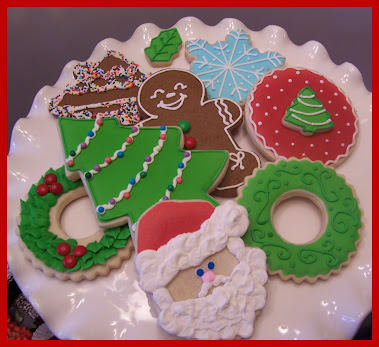 These cookies represent Christmas to me. My other memory: I used to visit my Tutu (means grandma in Hawaiian) when she was alive for holidays throughout the year. We didn't do much cooking or baking, she usually did it all. But when I would visit her we would have strawberry shortcake & it was the best treat in the world. It wasn't like how people get those little spongy cakes from the store. We would bake the shortcakes (biscuits), split them open, melt some butter on them then top them with sweetened sliced strawberries (that also had a little grand marnier in them), and top them with home made whipped cream flavored with vanilla & grand marnier. Welcome to my blog! My name is Michelle & I'm a Work-at-Home wife & Mommy. 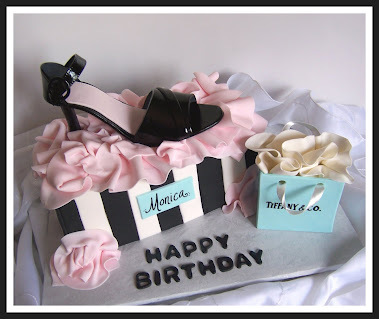 I love being crafty, home decorating, baking/decorating cakes, cookies, cupcakes - anything sweet & yummy! My husband & 6yr old son don't mind being taste-testers, so it works out well. I'm new to this whole Blogging world, so please bear with me while I stumble along and make mistakes and change things every five minutes until it's exactly how I want it (or until I learn better what I'm doing!). Here's to (hopefully) getting it right!